West Ham forward Marko Arnautovic wants to leave the club in order to move to China, according to his brother. The 29-year-old has been a revelation at the London Stadium since he arrived at the club before the start of last season, becoming a talismanic figure in east London after then manager David Moyes decided to utilise Arnautovic as a lone striker. 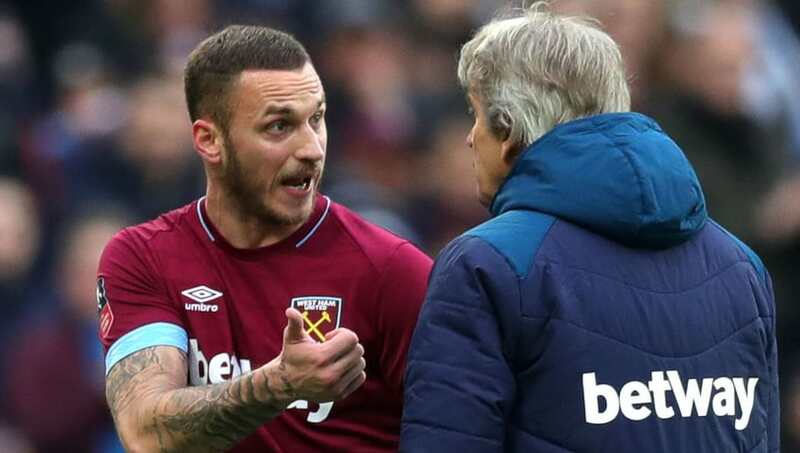 They may have their hand forced though after Arnautovic's agent, and brother, Danijel, told ​talkSPORT that the Hammers should accept the offer put forward for his services. ​"​West Ham bought Marko for peanuts. They paid £20m for him, which is nothing in the current market," he said. "Now West Ham have a fantastic offer. It is close to double what they paid for him. "He wants to go to a new market and challenge for titles. "This is what he wants. It is his great desire that West Ham accept the offer from China. "He knows the West Ham fans love him and he has a special connection with them, but things move on, this is the world of sport, and he hopes they can understand. "Marko is professional and is preparing himself for the Arsenal game. He will give 100 per cent for West Ham. That is Marko. He will never change. Until he is no longer a West Ham player, he will give everything to the club. He hopes the fans can respect his wishes." Despite his brother's revelations, West Ham's stance on the matter is unlikely to change unless, like former star Dimitri Payet, he refuses to play for the club - something that would be totally out of character for a player renowned for giving his all on the pitch.